Made his debut with Zalgiris-Sabonio mokykla Kaunas (Lithuania), NKL, during the 2009-10 season. 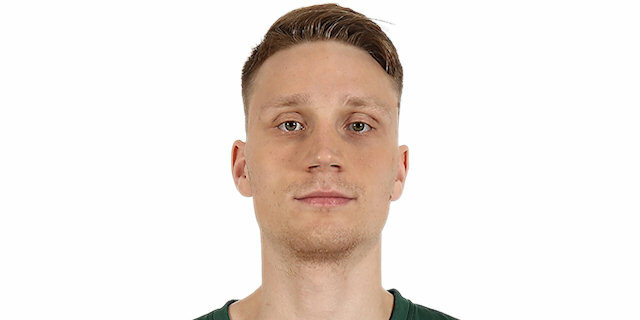 Played there till the 2012-13 championship when he made his debut with BC Zalgiris Kaunas. .moved to Spain for the 2013-14 season, signed by Penas Huesca, LEB Gold. Signed for the 2014-15 season by Manresa Basquet. Moved to Lithuania for the 2018-19 season, signed by BC Zalgiris Kaunas. Won the silver medal at the 2010 European U-16 Championship. Won the silver medal at the 2018 European U-18 Championship. Won the bronze deal at the 2013 World U-19 Championship.